Welcome to Australia’s first ever Corporate Esports League! The AEL Corporate Cup is Australia’s first inter-company esports league and is the next level of corporate recreational sports. The AEL Corporate Cup offers company teams real competition in some of the world’s biggest esports titles. Company teams will be able to compete in fun, friendly competitions across multiple titles, vying for the glory of Australia’s best corporate esports team. What is the AEL Corporate Cup? The AEL Corporate Cup is Australia’s first ever inter-company esports league, and offers companies the chance to go head to head in intense, fun, friendly gaming competition across some of the world’s biggest esports titles. There are no cash prizes here. Players compete strictly for the glory of being crowned Australia’s best company esports team, ultimate bragging rights, and the chance to bring home the AEL Corporate Cup. 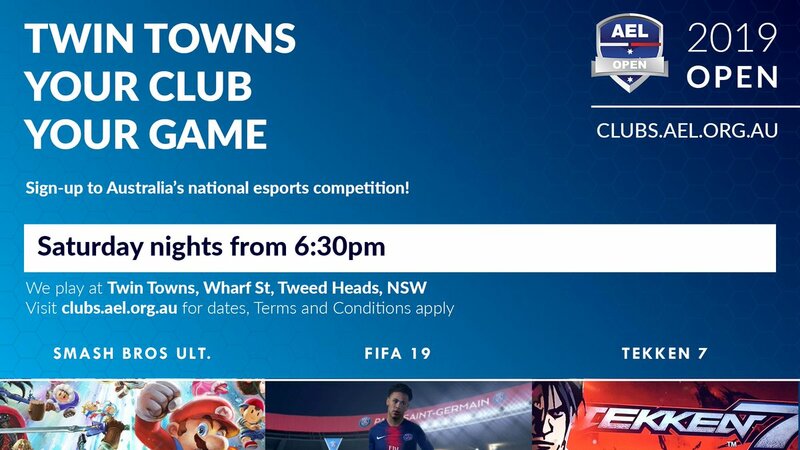 Compete either online or in our amazing Barangaroo venue for weekly gaming competition where you’ll play with colleagues in the world’s best esports titles, socialise with friends and colleagues, go head-to-head with industry peers, maybe take on your clients, and even challenge the boss! This tournament is not affiliated with or sponsored by Electronic Arts Inc. or its licensors, Nintendo Co., Ltd or its licensors, or Psyonix Inc. or its licensors. Use these A4 posters in your break room or company notice boards to start building your teams! Is the AEL Corporate Cup open to anyone? Our registration policy is like our recruitment policy. Relaxed. We only ask you be over 18 and register as a current employee representing your company (officially or unofficially). Unfortunately individual sign ups aren’t accepted for the AEL Corporate Cup. Players must sign up as team. Each team must complete a separate sign up form and consist of 3 Regular Players. There is no cap on Substitute Players. We can register more than 3 people in a team?? TPS reports wait for nobody. We understand you’re busy and might not be able to attend every single match. To help, we allow teams to register Substitute Players. You can register as many Substitute Players as you like for your team, at no extra cost, as long as they are registered with us 24 hours in advance of the night you need to substitute one of your Regular Players. To keep things easy, the best thing to do is register your Substitute Players at sign up. How many teams can register? Space is limited for the Sydney LAN event, but it’s under review. We’ve had immense interest in Season 1 and so have changed the format slightly to suit. We are now offering online competition, and there’s no longer a cap on how many teams can register from a single company, in any game. We’ll monitor sign ups and announce when the Sydney LAN event is full. In the mean time, to give you the best chance to secure your slot make sure you sign up your team early! The games you've chosen are amazing, but what if I play something else? It’s okay to play around. Never played Smash and think you may actually like it? Don’t be afraid. Sign up anyway. We won’t judge. And while you demonstrate your ninja-like flexibility as a cross-functional team player in high performing, ambiguous work environments under time sensitive pressure we’ll continue working to expand the line up in future seasons. And exactly how does one win the AEL Corporate Cup? Players will compete for points in their respective game titles, as well as an overall company. The company with the most overall points on the ladder at the end of the Season takes home the AEL Corporate Cup. Simple really. Full rulesets will be released soon. Don’t worry Marge, the tube will know what to do!